Learning how to ask for charitable donations can help to improve the overall financial state of your organization. Many non-profit and community groups operate upon donations alone, which is why it is essential to learn how to effectively ask for donations when the time comes. 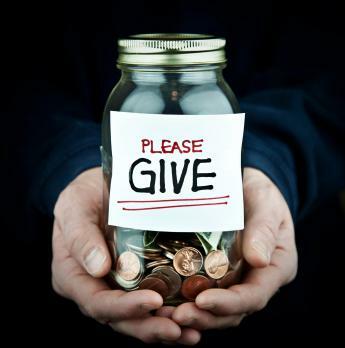 Asking for donations is simple, however effectively accruing them is a bit more difficult. Many people, and especially corporate offices, are asked to donate on a regular basis, and you may find yourself just waiting in a long line of good causes they need to consider and choose from. Learning how to ask for charitable donations in unique and innovative ways will get you to the top of the stack, improving the likelihood of more funds raised quickly and efficiently. Face to face interaction is always the best way to ask for assistance of any type. Phone calls can be ignored and letters may not be received, but seeing the enthusiastic face of an individual who really believes in what they're raising funds for is always much more effective. Schedule as many face-to-face meetings as possible, and dress professionally. Bring any visual aides you may have to really bring your potential donor into your world and what you're trying to accomplish. If you must write a letter, be sure to personalize that letter so the recipient does not feel like one in a crowd of many. Produce literature you can bring with you when asking for donations - include quotes from those who have benefited from the group, or any professional referrals and references you may have. The more reputable your group seems, the more likely people are to give to a cause that is well-established with a good rapport and a clear idea of where it is going. Stay close to the demographic that will be swayed by your cause. If you are a Christian missions organization, you won't want to start by knocking on the doors of the local synagogue. Instead, research who can relate to what you're supporting, and approach them in a familiar way. Use any insider lingo you may have, or any other sort of communication tactics that will help donors realize you know what you're talking about and care about what is important to them. People are going to decline you request for donations, however it is important to keep an upbeat outlook and approach each individual as if you're straight out of the gate and eager to reach the finish line. The more contagious you are with your joy and passion, the more likely people are to catch your vision and get excited right along with you. People, as generous as they are, often look out for their own best interest - and so if you can give them a reason to donate outside of just "helping" a group, you will yield better results. The promise of a tax deduction is a biggie, so ensure your group is 501(c)(3) registered before drumming up donations. You may also be able to provide special offers, such as free tickets if you are a performing arts group, or the ability to send regular newsletters with photographs and other memory makers that will allow them to feel great satisfaction in what they contribute toward. Never ask for donations without first practicing what you want to say and knowing exactly what the funding will go toward. Many people will be put off if you come across as nervous, ill-informed, or unprepared. You also want to stay away from any type of "mass mailing" including impersonal letters, emails with hundreds of recipients visible in the "To" field, or phone calls where you do not know the name of the person you are calling. Keep all donation requests on as personal a level as possible, and always be sure to write a thank you note promptly. Avoiding the easily misconstrued pitfalls of ungratefulness, disinterest or poor communication can be your downfall if you do not take care.